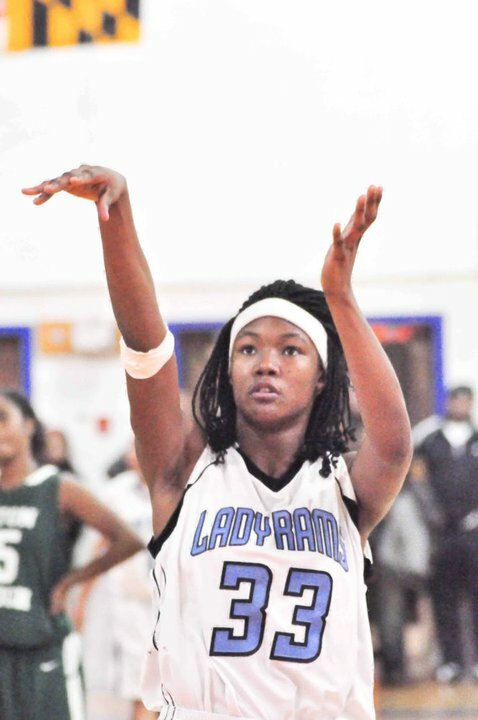 Digital Harbor's 6'1" forward A'Lexus Harrison slowed down during the first major snow storm of the season to answer a few questions for 695Hoops. We talked about her decision to commit early to Maryland, her off the court activities and what it's like playing at Digital Harbor. 695: How old were you when you started hooping? Lex: I was 12, 3 years ago. 695: What AAU teams have you played for? 695: Where did you grow up? 695: I heard you have some serious moves on the dance floor...Do you practice those ? Lex: Naw, dancing is like second nature. 695: What do you do besides play ball? Lex: I like to play football with the family. 695: What type of artists do you have on your Ipod? Lex: Drake, Trey Songz, Lil Boosie, Lil Wayne. 695: What's your favorite food and who do you like to cook it? Lex: Seafood salad cooked by my mommy Kim. 695: What do you need to add to your game? Lex: A seriously nasty jump shot so I can get my Asia Logan on. 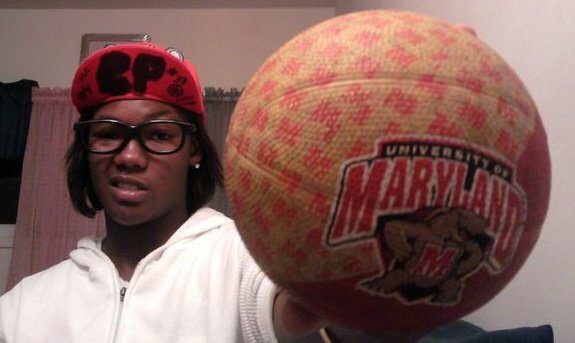 695: You signed with Maryland in your in your sophomore year. That's big..what made you go that route? Lex: The love for the game and the desire to play at the next level at my dream school. 695: Why do you play this game? What do you love about it? Lex: It's my passion. I love the hype before a good game. Everything. 695: Who is your favorite player? Lex: Alyssa Thomas (go Terps!) and Maya Moore. 695: Do you talk trash on the court? Lex: Of course, that's part of the game. Lex: We were going to Florida and my best friend broke out crying when the plane took off. 695: What would you tell a student athlete who was considering Digital Harbor for high school? Lex: I would tell them that grades come first with our program and if you don't play D you'll be sitting next to Coach McDonald! 695: Thanks and good luck the rest of the way.